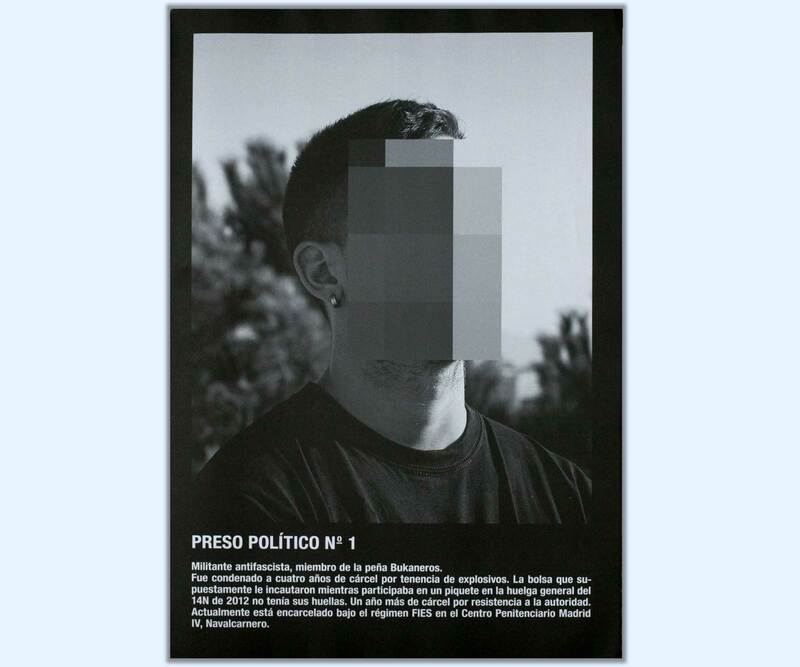 A special publication of Political Prisoners in Contemporary Spain. 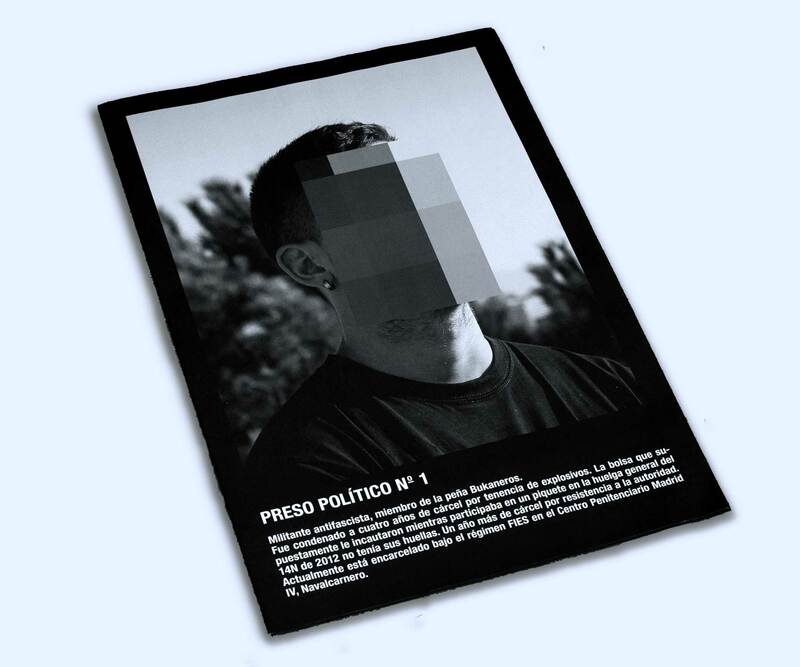 Obscured photographs of people being held by the Spanish Government for activities related to politics, printed in the format of a broadsheet newspaper. 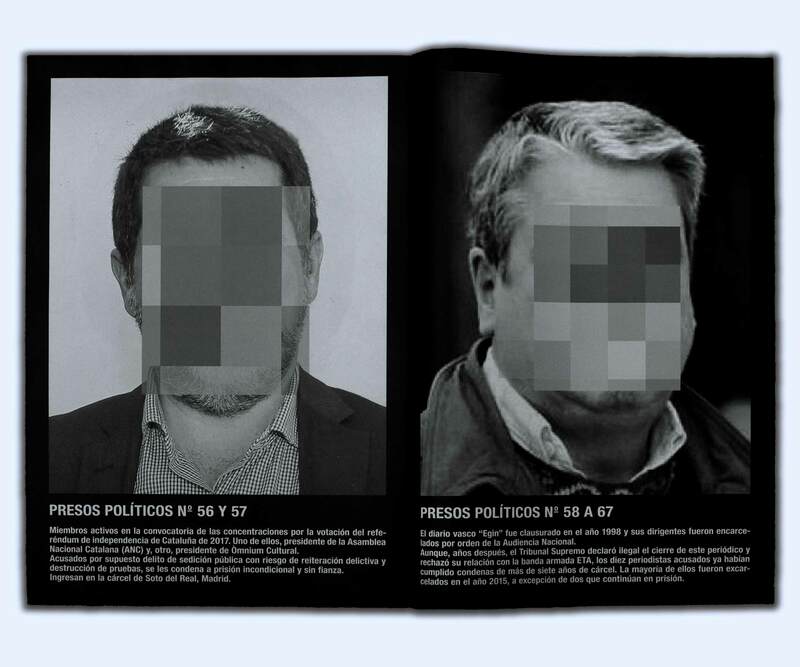 The captions below the portraits, written in Spanish, describe the identities of the individuals without exposing their names. The original exhibited artwork was removed from ARCO (an art fair held in Madrid) because it was deemed too politically sensitive.